Yes there is. 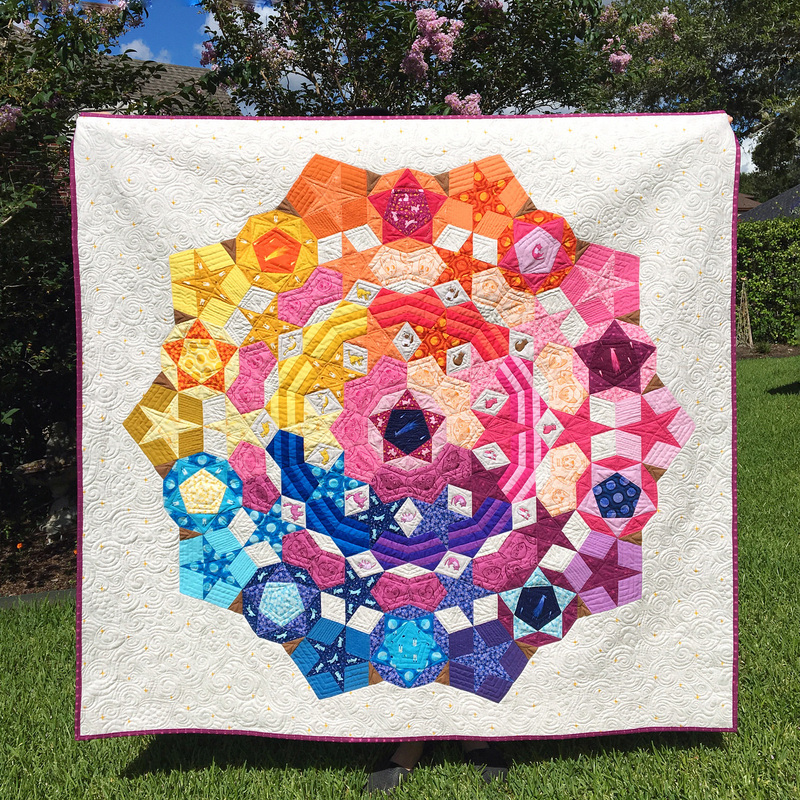 It's the Tula Nova quilt from Paper Pieces. This is gorgeous! I'm in love with the Luna Sol fabrics (I am a fan of anything celestial or space-y). I'm ordering this kit, but could you give an estimate of how much fabric you used? I have no idea how much of any fabric pattern I'm going to need and was trying to guesstimate. Thanks! If you are going to be fussy cutting, yardage is going to depend on the design. I probably used mostly half yard size cuts. I would order more fabric just in case.